"Those goose stepping morons should try reading books instead of burning them." A Detroit area school district has erupted in protest over the discarding of a historic book collection that is said to contain more than 10,000 black history volumes, included films, videos, and other artifacts. The blame, according to residents of Highland Park, a small city surrounded on nearly all sides by Detroit, belongs to Emergency Manager Donald Weatherspoon, who claims the collection was thrown out by mistake but that the district cannot afford to preserve it. Yesterday, angry residents held a public protest, blocking traffic, wielding megaphones, and displaying picket signs with slogans like "21st Century Hitler Burning Books" and "Dump The EM, Not The Books" — referring to the state-appointed emergency manager. Among the picketers was Deblon Jackson, a Detroit-area musician. "The emergency manager had been in the district for over a year and then they decided to throw away all the black artifacts—books that were no longer in print or published, all kinds of tapes and catalogues," Jackson explained to The Atlantic Wire. "We want to preserve those artifacts so our children have something to look back on. We're just mad about it and w're not going to stand for it, just throwing away our history like that." Marcia Cotton, a member of the Highland Park Renaissance Academy Board of Directors and lifelong resident, said she attended a meeting in which Weatherspoon took responsibility and claimed the books were discarded by mistake. Her fellow board member, Vice President Andre Davis, soon resigned over the controversy. But Cotton isn't so sure the books are the most pressing issue in the community. "I would very much like to get above the fray of the controversy and rather discuss solutions to the looming debt crisis facing the school district, the decline in school enrollment and city population, and how best we can work with our city officials and provide a greater quality of life for our residents and quality education in a safe environment for our children," Cotton said in an email. "We can't solve 21st century problems with 20th century tactics." Jackson, meanwhile, hopes to continue protesting. "We have a protest scheduled every day this week until we get what we want," she said. "They don't want the children to read, in my opinion. How do you have a library with no books? How do you mistakenly throw books out?" "This is a modern-day Hitler," she added. Cities love to spend money and then not care for what they buy. And why should they, it's not their money? They're like little kids who don't take care of their toys. My city government is currently going through a crisis because local media discovered 30 priceless works of art that the city purchased to decorate city hall are lost and no one knows where they are. Much of it is early works by artists who today demand big money for their art. Last edited by Mabuse; 07-10-13 at 01:48 PM. Where do you live? 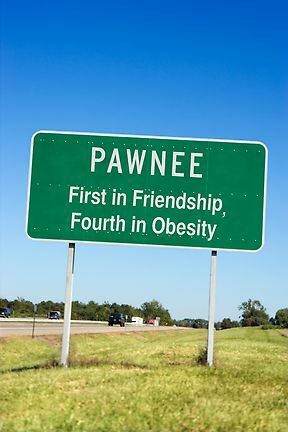 Pawnee, Indiana? A city in Orange County California. Is the same thing happening in Indiana? I understand they have Black history information on the internet now. The Detroit Emergency Manager probably wants to throw that out, too. Why should Highland Park be responsible for preserving the Internet? What condition were the books in? I heard a little bit about this on the morning radio show.. I wonder if city council has progressed to blaming the suburbs as is common with many issues that Detroit encounters. The pages were a bit colored instead of white. Coincidentally, Detroit owns several billion dollars worth of art that can be sold off to single handedly cover much of their debt. These works of art are probably in the homes of a few Portland, OR city employees. The unfortunate thing is that probably 99.9% of those books would sit untouched on shelves for the next one hundred years. People mostly get information off of the internet these days, and libraries seem like these quaint, artifacts from a bygone era. You can fill a library with tens of thousands of books and it might as well be a tomb. Hell, I love books, but the first places I'm going to go to look something up are google and wikipedia. You still need books to REALLY study history, write papers, etc. Yes, wikipedia is easier/faster but that's just broad overview stuff. Nothing in-depth. And its accuracy is frequently a mess. Books are the reason wikipedia has any info, really. I'm sure they'd have been used once in a while for young students writing papers on black or civil rights period history, etc. Don't start me on the emergency manager stuff. I consider it a violation of constitutional rights to representation. Last I read, it sounded like the position in some cities is often being used as a money grab to sell off valuable public land, parks, etc for private development. For research, they could digitize the books (assuming they have rights to do so if they are not in the public domain to start with) ... if anything that makes research easier. Only after he prints out the entire Internet. Twice, you have to have a back up copy. They are all angry at whitey. I invite you to read and review this forum's rules on generalizations. pretty sure I was joking. Your posts are funnier when you aren't. Have you found a rug yet?